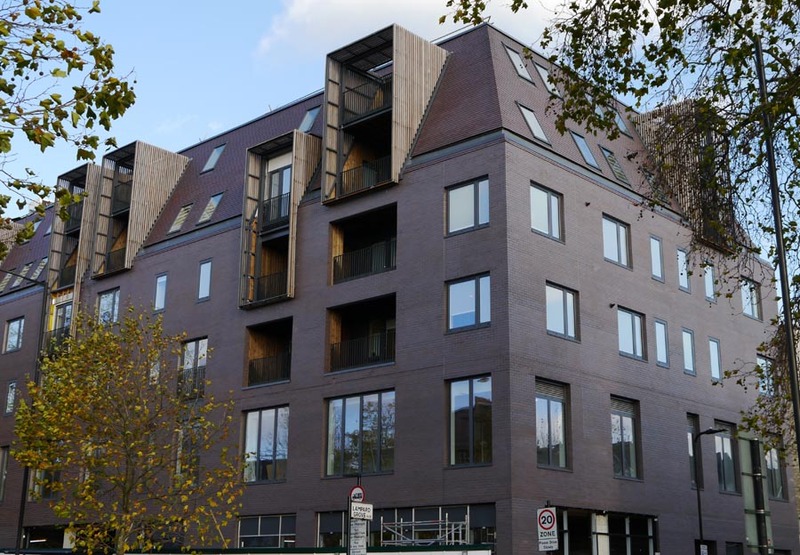 They designed a scheme where the clay roof transitions seamlessly into the brickwork of the walls and this was achieved by using a matching clay roof tile and brick. Secret gutters were also an important detail to maintain the smooth clean lines from the roof to the walls. Large bay window balcony frames have been incorporated and these project from the smooth, clean roof lines breaking up the roof form and echoing some of the features of neighbouring buildings. The overall effect is to create a highly contemporary building that fits well with its existing adjacent neighbours.